When I started BGIB (new initialism?!) (PS did you know there’s a difference between acronyms and initialisms? nerd time…), I decided to choose a free, easy to use platform (wordpress!) so that I could try out blogging without a lot of complicated setup – or consequences, if I didn’t stick with it for very long. I started writing way back in June 2013 (whoa)! From now on, you can find me over at barfgreen.com! You’ll find all of the blog posts I’ve written here over at the new space, all the comments everyone has left, all the photos – and whatever is to come in the future :) I hope you’ll consider following me over to barfgreen.com! I’d love to hear what you think. Thanks for reading, and happy crafting!! Check it out – WordPress has this cool “year in review” feature that compiles a bunch of statistics from a blog over the last year. Neat! My blog is pretty tiny right now (in terms of traffic, commenting, that kind of thing), but that’s okay with me. First, because even chatting with a few friends (YOU GUYS!) is still lovely – and nicer than chatting just to Miss New Zealand… Second, because it means there’s still lots of room to grow! I’m still thinking about the how’s and why’s, but I think I’d love to make growing the blog a little bit a goal for 2015. It might be challenging, especially if my arm strain issues continue to prevent me from crafting as much as I’d like to, but I really enjoy blogging so I want to try! I’m not normally a big “resolutions” person, but I do like the idea of goals and targets (which you could argue is just semantics… but it’s a meaningful distinction to me. I think goals and targets communicate an intentional flexibility and aspirational quality, while resolutions have kind of a more rigid, “to be broken” feeling that can set you up for feelings of failure. ANYWAY!). I have a few others in mind for this coming year that I’m still mulling over. What about you? Are you thinking about goals, craft-related or otherwise, around this time of year? My holiday has been lovely, with so many good things, and LOTS of snacks. No knitting (wrists, ugh), but lots of Ravelling and thinking about future projects. It contained yarn :) I’ll show you what was inside soon! Happy, happy holidays. Chevron Blanket: Forest Heather or Bust! Since then, I’ve made some fun progress! I finished the last rows of the 4th stripe, in Cascade 220 “Irlande”. After I finished the last full chevron, the next bit of the pattern is to work two corner triangles to square everything off, using the last colour. I really love changing colours in striped projects. It just always feels really momentous! 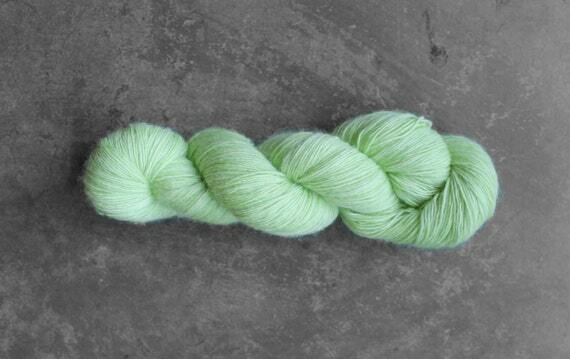 The last colour is also Cascade 220, in “Forest Heather”. I’ve been pretty impressed with the Cascade 220 colourways that I chose for this project, especially the Heathers, because they’re actually fairly layered and interesting. 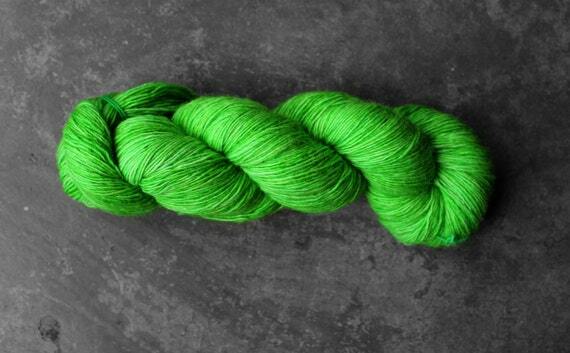 I think of Cascade 220 as an affordable workhorse yarn, and I think it’s been just right for this project. Good drape, enough squish factor, and lots and lots of colours to choose from. I’m so pleased with how all the colours are looking together! It’s definitely a greeny-goldy bonanza. Not colours that would make everyone happy, but I really like them. Of course, somebody still thinks this project is JUST for her, so when I spread it out to look at my progress and take a few photos, she opportunistically jumped up and settled in. Sneak! Chevron blanket update… and blanket surgery! It’s been a while since I’ve posted anything about my chevrons blanket (aka Heirloom Chevron Throw by Jocelyn Tunney – the pattern is FREE)! Despite still having generally terrible wrists/forearms, I’m managing to sneak in tiny bits of knitting here and there (mostly because I am not typing very much right now – my typing job is on hold for a little while, so I can stand a bit more knitting as a result). Here’s the blanket with gratuitous cat blanket thief! Looking good! Wait a minute… what’s that in the apple green stripe? Ugh! A weird little tuft of yarn! At first I thought maybe I’d done a bad job of felted-join-ing, but upon closer inspection, I remembered that it was just a felty nep in the yarn, and when I knit it in, I’d thought it would blend in fine. But because everything else is so smooth, it’s REALLY obvious. And annoying. I decided I could probably fix it with some surgery, by cutting the yarn, unpicking the few stitches where the nep was, and grafting with new yarn… weaving in the ends on the back for close to seamlessness. This is the spot I fixed! Could you tell? I am loving this blanket, even though it’s sooooo slow going. 20 more rows (10 more ridges) of this colour and then I’ll be on to the final triangles to square it off! 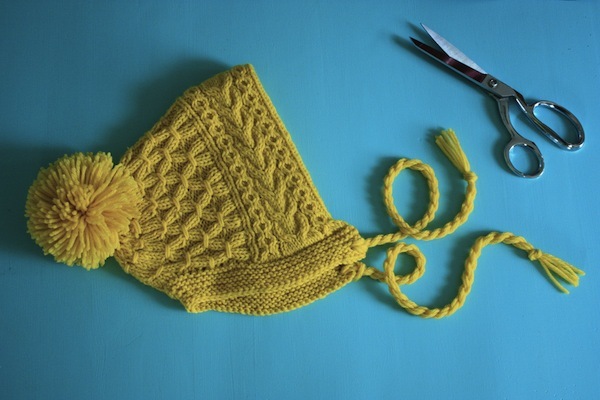 What are you knitting these days?? BUT. 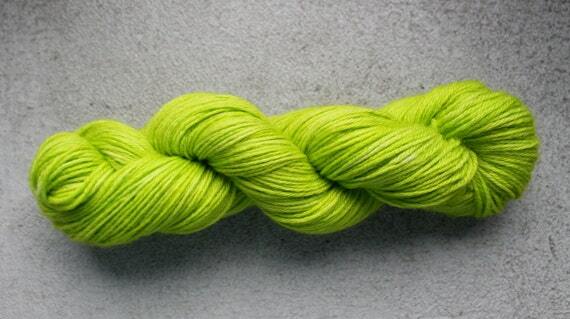 I’ve been thinking about this yarn. IT. IS. SO. PRETTY!!! So cheerful and happy and amazing. It’s not even depths-of-winter yet or anything (and even when it is, where I live, it’s not super cold). AND I like cold, gray weather. 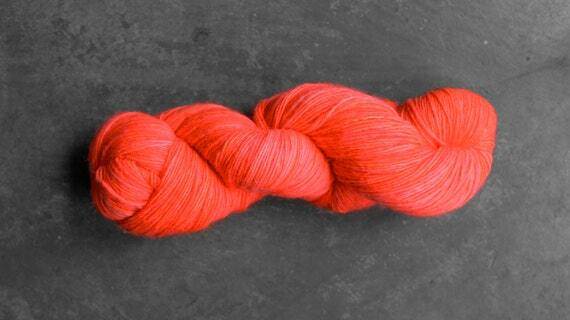 But this bright yarn is making me super happy! LOOK at all of the little speckley coloured bits! It’s mostly pink, yellow, and blue, but then there are surprise flashes of green! and orange! and purple! Loooooove. 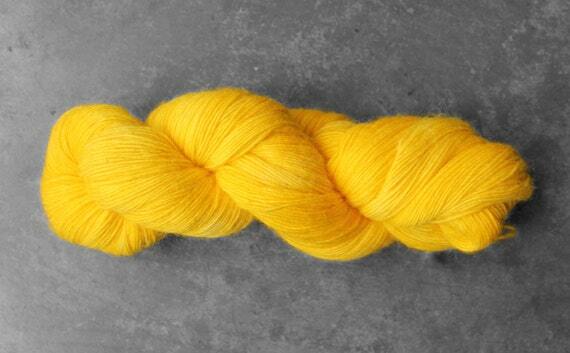 I think the colourway is called Confetti. The pattern requires a little bit of contrast yarn for the loops, which are added at the long, cast of edge of the shawl’s triangle shape. I’m thinking of using some bright blue that will complement the blue bits in the Confetti skein! Very excited. Now if only my dumb body would co-operate!